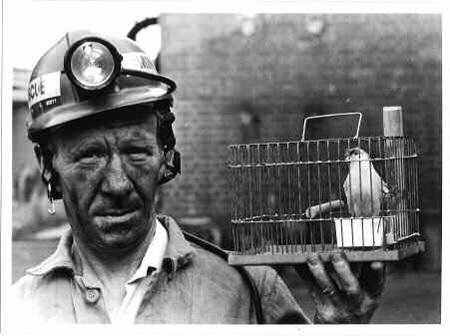 Devon - the canary in the NHS coalmine? This week Devon has announced that smokers and obese people will be denied all routine operations, and deaf people get only one hearing aid. The end of the NHS is swimming into focus - unless we swim hard against the current. So said the Chair of the new North East & West Devon Clinical Commissioning Group (CCG) Dr Tim Burke earlier this year, introducing the system the 2012 Health Act set up. So what does this optimistic vision look like on the ground? Dr Burke’s CCG has just announced that obese people and smokers in Devon will be denied ALL routine surgery. The Royal College of Surgeons slammed the move as "unacceptable". Shoulder surgery will also be restricted for everyone in Devon (obese or not), as part of a package of cost cutting measures, with further cuts to be announced shortly. And deaf people will now only get a hearing aid for one ear, not two. Justifying the decision Dr Burke told us that “second hearing aids show far lesser cost effectiveness than the first”. Chris Ham, head of the Kings Fund ‘think tank’, this week extolled again the virtues of ‘bilingual’ ‘clinical leaders’. Others might look at the gap between rhetoric and reality in Devon, and consider 'bilingual' a kindly euphemistic term for its 'clinical leaders'. The 2012 Act handed placed a duty on unaccountable CCGs to decide what healthcare needs get funded. In doing so they also abolished the ministers’ previous, much stronger duty to secure or provide a comprehensive health service throughout England, which had existed in one form or another since 1948. Because the CCGs had a few doctors prepared to accept the poisoned chalice and sit on their boards, this was ‘giving power to doctors’, politicians and the media told us. Influential critics of the 2012 Health & Social Care Act including Clare Gerada, former head of the Royal College of GPs, argued in the British Medical Journal that in fact, the model was heavily influenced by a model of ‘managed care organisations’ which were cooked up by the young John Redwood and Oliver Letwin in the 80s as part of a drive towards a US-style insurance system, and recycled by Letwin into the Health & Social Care Act. In this system, Gerada and colleagues suggested, CCGs - with their narrowed ‘risk pools’ compared to the National Health Service - were stage one, and a big shift to turning the NHS into a "state insurance provider", as insiders like Mark Britnell had admitted. CCGs would be increasingly able (or forced) to decide who they cover for what, and who they buy it from. In effect, they would increasingly function as state-subsidised but incomplete healthcare ‘insurers’ (like Medicare in the US). As in the US, healthcare purchasing decisions would be taken increasingly by non-medical administrators like referral services and soon-to-be-privatised Commissioning Support Units. Easily cuttable subsidies would be provided increasingly via unaccountable, fragmented CCGs and even more atomised budget-holding individual patients - with top-up insurance necessary in future to get comprehensive healthcare coverage, if patients can afford it. All of this is now happening - though top-up insurance is still in its infancy. So what of stage two? Health insurance ‘purchasing’ - more than hospital and other healthcare ‘provision’ - is where the biggest potential profits are, international comparisons show us. But even the most free-market gurus quietly admit that free competition doesn’t actually work in terms of buying healthcare provision - and is hideously expensive beyond a level even a complicit state might not want to subidise. So stage two is ‘integration’, where insurance-resembling ‘purchasers’ (both state and private) might also ‘integrate’ with preferred state or private medical ‘providers’ in ‘managed care organisations’ (or similar terms) to try and control costs (ie, maximise profits/surpluses). They would create ‘care pathways’ and ‘care packages’ that can conveniently be costed, priced and marketed - including a hefty nudge to expensive, poor, sick patients to change their ways or get shoved out of the queue. We’re already on the path towards stage two, whether via the feting of 'managed care organisations' or through the similar 'lead providers' model (with providers taking control of purchasing through tiers of sub-contracting) though the latter has run into problems lately. The poster child for ‘managed care organisations’ is Kaiser Permanante, whose supposed ‘integrated’, ‘mutual’, ‘clinically-led’, ‘cost-contained’ and ‘preventative’ approach is trumpeted by everyone from new NHS boss Simon Stevens to Health Secretary Jeremy Hunt and Shadow Health Secretary Andy Burnham. In the US, Kaiser’s supposed ‘cost effectiveness’ is also delivered by excluding the poorest and sickest from coverage. So why the support for this model? Health budgets are being slashed in a drive to save £20bn by 2015 - notwithstanding competing Labour and Tory promises to chuck it an ‘extra’ couple of billion, somehow. And someone has to carry the can. Stage one - and the accompanying loss of the Secretary of State's duty to provide comprehensive healthcare - means that when even basic medical care is refused, the Health Secretary can claim this is ‘a matter for local doctors’, even as government funding decisions have pushed Devon CCG into a £14.5million deficit. Ham goes on to say these ‘clinical leaders “are also able to work with clinical colleagues to ensure effective stewardship of resources”. "This is merely 'management-speak' for denying useful care in the interests of protecting the bottom line," says Professor Ted Schrecker, Global Health Research Fellow at Durham University. To smokers, the obese, and mentally ill patients in Devon - disproportionately the poorest patients - it certainly seems that way. It’s worth noting too that Kings Fund, last year spent two days persuading a very reluctant focus group to agree that if NHS charges had to be introduced, it could start with ‘less responsible’ patients such as drinkers, smokers and those who missed appointments. In Devon the cuts are showing elsewhere too. Last week a 16 year old girl in a mental health crisis was kept in a police cell for several days as there was no mental health bed for her anywhere. Under-18’s non-emergency mental health needs should have been met by Virgin - to whom Devon have controversially outsourced child mental health services. Devon CCG have refused to say how much they have spent on child mental health services. Once patients get to an emergency situation, responsibility reverts to NHS England. In Devon 750 mentally ill people, including 28 children, have been detained in police custody because of a shortage of hospital beds in the last 12 months. Also in Devon it emerged this week that over-stretched GPs are telling depressed patients to call a non-NHS helpline rather than approach their GP. Is Devon a rogue CCG? Probably not, though the South West as a whole (along with the East of England) has fallen victim to some of the most ideologically pro-market health policies in recent years. Devon is one of the largest CCGs in the country. So perhaps it is not surprising thus one of the first to run into serious problems. It is not the first to discover that the rhetoric about ‘decisions closer to the patient’ made by doctors, cannot be squared with the starving CCGs of funds that forces them to narrow their risk pool and withdraw necessary medical treatment from the NHS. Devon offers us a reality check on the gap between the think tank rhetoric and the local realities. It is the canary in the coalmine, even as its leaders congratulate themselves as they provide political cover for politicians, and their colleagues leave the NHS in despair. Meanwhile what do more thoughtful ‘clinical leaders’ actually want? Doctors such as those who have set up the National Health Action Party have got behind Allyson Pollock’s NHS Reinstatement Bill (as have the Green Party). Most doctors want an end to this fragmented, expensive market madness. Pollock, along with National Health Action Party leader Clive Peedell, sees the 2012 Act as having finally ‘abolished’ the English NHS - though people haven’t yet fully realised, as the NHS lives on as a logo or ‘kitemark’. These health leaders have offered a legal routemap to restore the NHS, and have urged all politicians to sign up to it.